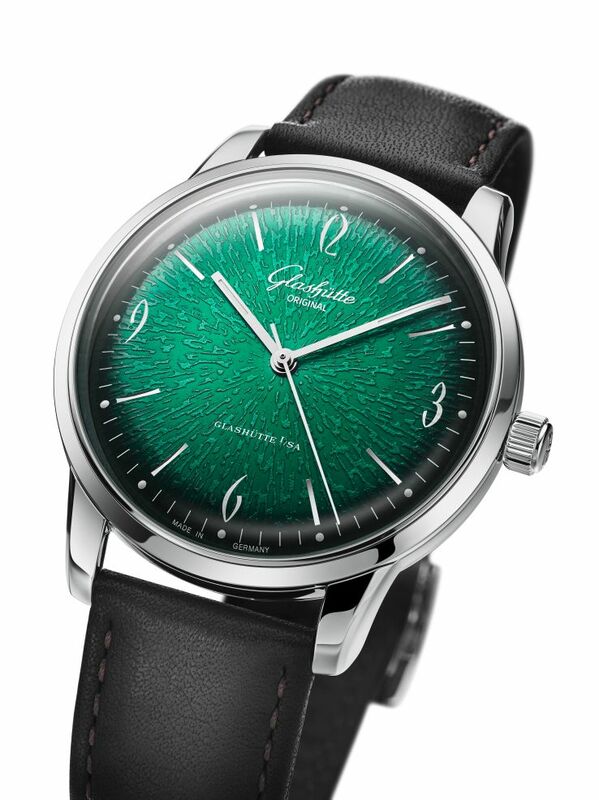 Since first presented in March 2018 they have been among the most popular watches in the Glashütte Original collection: the green Sixties and Sixties Panorama Date. 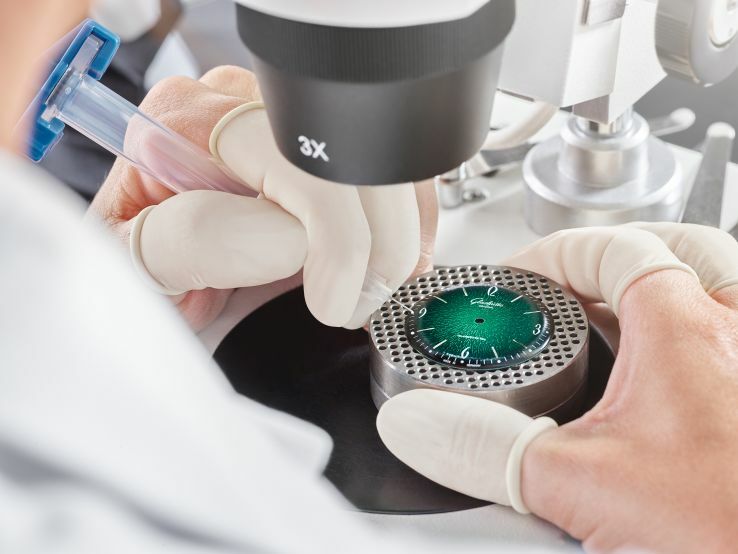 These distinctive green dials take 25 separate steps to create, all performed at the Glashütte Original dial manufactory in Pforzheim. They are one of the very few watch companies to make their own dials. 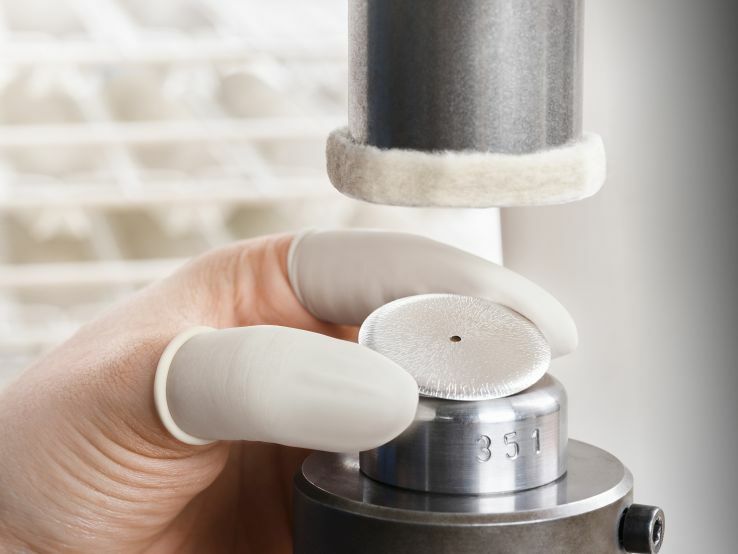 Exceptional quality starts with the precise punching of the German silver blank, the first step in the production of a Sixties dial for the 2018 annual edition. The following step creates the elaborate embossed surface, with historic watches serving as a model. 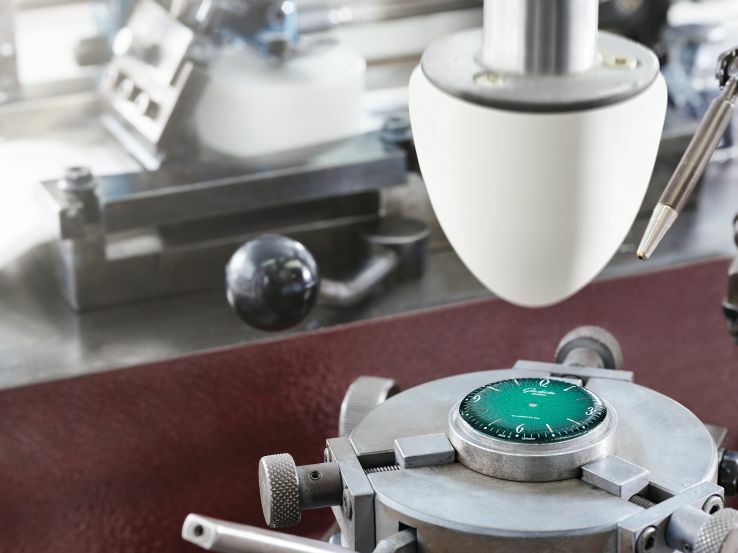 A 60-tonne press stamps the striking pattern onto the blank the same process was in use more than 50 years ago in Pforzheim, when dials were already being produced there for the Glashütte manufactory. The embossing punch used today, with its filigreed decoration, dates from this period. 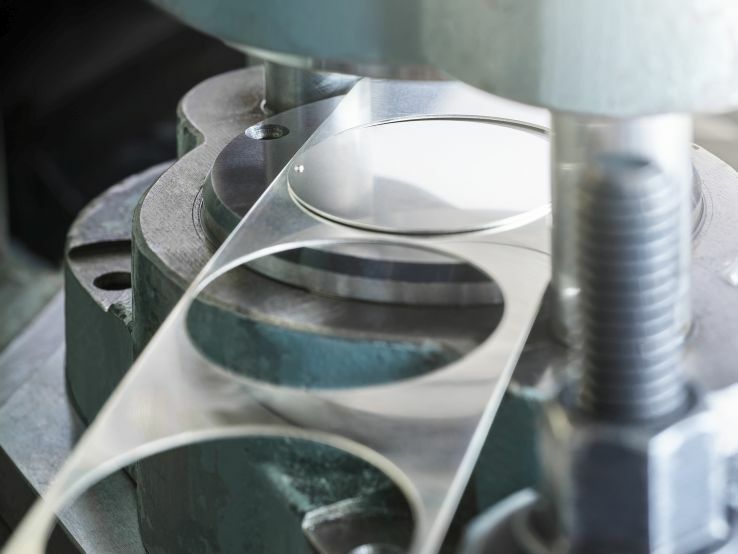 Once the press has completed its task, the blank is cut to its definitive diameter, and a hole is inserted at the center for the hands. 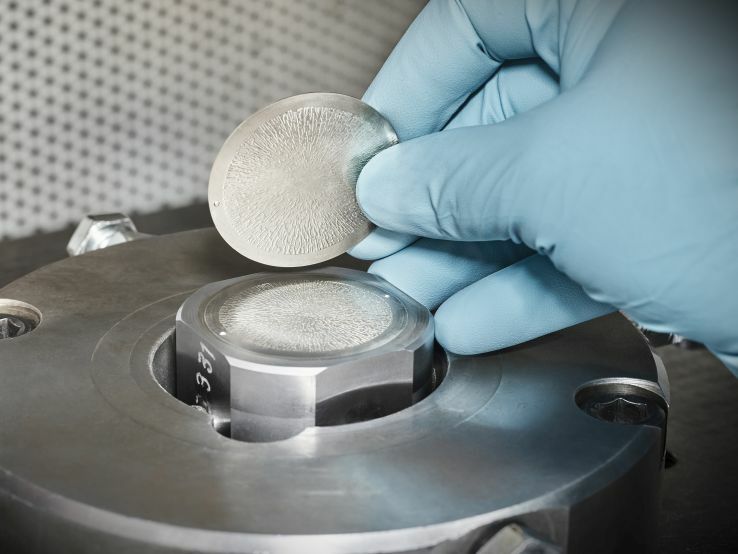 A second pass under a press lends the disc, which is only 0.5mm thick, its characteristic domed perimeter. 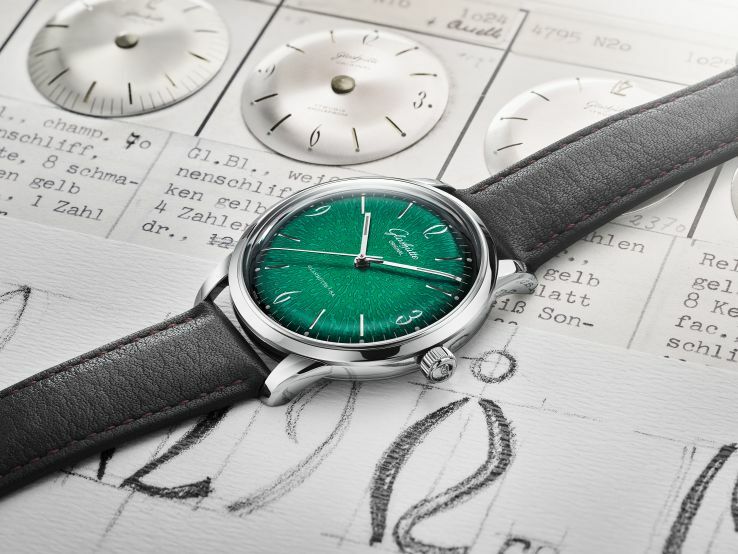 Here, too, there are connections to history: whereas in the 1960s the domed shape served to mask the height of the movement much thicker at the time than today's movements so as to follow the trend for flatter watches, today the curved edges are a characteristic element of the Sixties line's vintage design. And with that, the size, shape and structure are fixed. 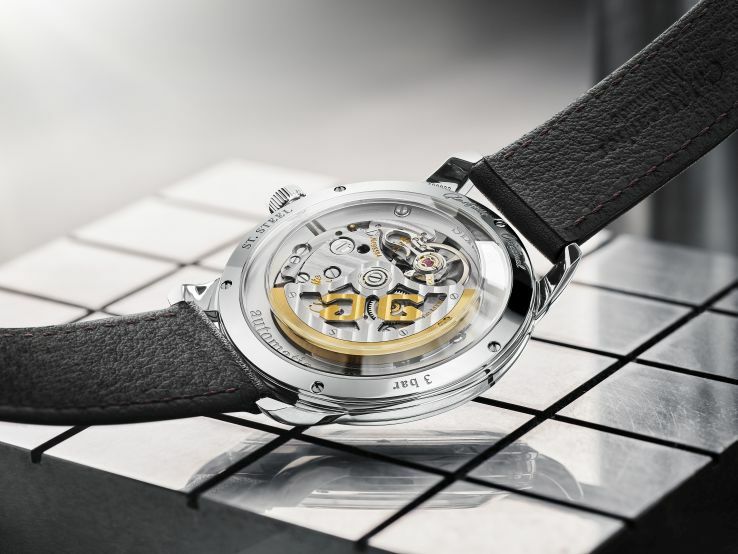 The subsequent steps in the process transform the semi-processed blank into the face of the timepiece. 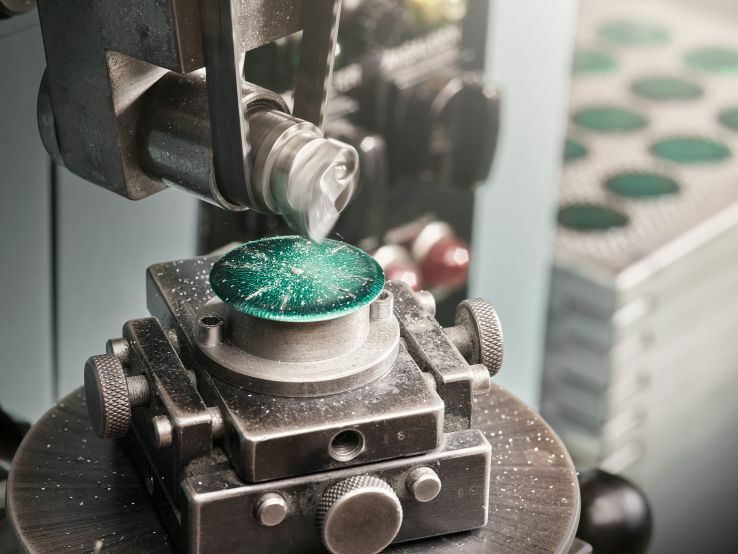 Several coats of vibrant green lacquer are applied to the previously galvanised dial before it receives its dégradé finish. This effect is achieved by spraying on black paint, with great care and in such a way that the dial perimeter takes on a much darker hue than at its centre, resulting in an individual color gradient that renders each dial unique. The lacquered dials are then heated in a kiln to burn in the colors. A diamond soon cuts through these layers to form eight of the twelve hour indeces. This renders the raw material visible once again, so that the hours in the Sixties Annual Edition are counted in German silver and in white. As was the case for the historic reference models, the numerals 3, 6, 9 and 12 are printed in white in the remaining gaps, using a pad printing process. 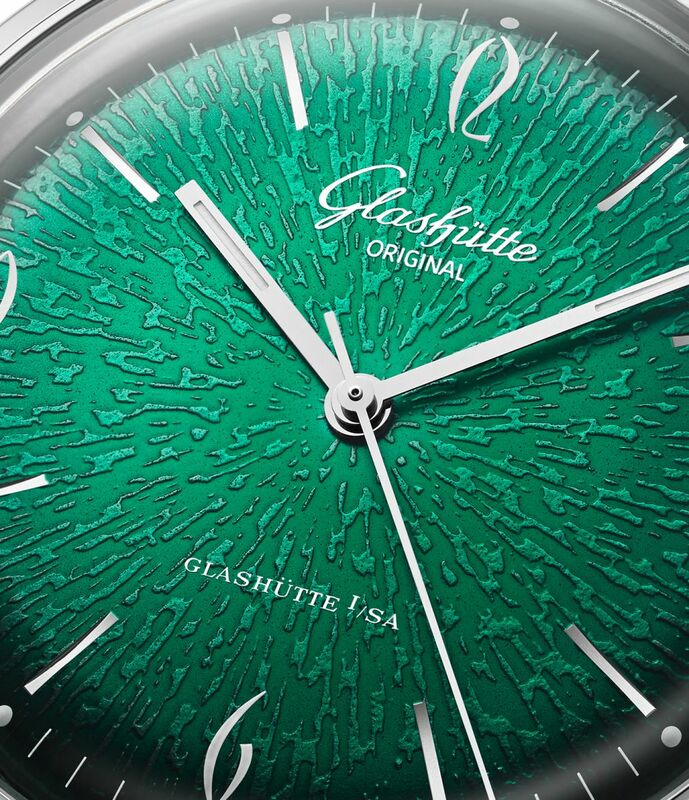 The same holds true for the Glashütte Original logo and the logo-scripts "Glashütte i/Sa" (Glashütte in Saxony) and "Made in Germany". The final step in this process consists in the application of SuperLuminova. These retro dials are very nice! the movement is just as stunning as the dial! Previous Topic: Hallmark Channel: Garage Sale Mystery Pocketwatches.